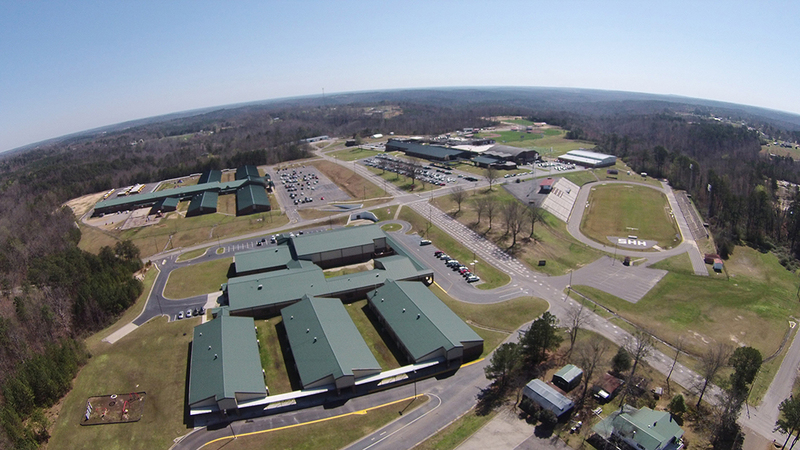 The Northwest Alabamian was established in 1906 and has a long history of service to Winston and Marion counties. It was incorporated into Mid-South Newspapers in the early 60’s and the Journal Record, a sister newspaper, began publication in the early 70’s to better serve both counties. 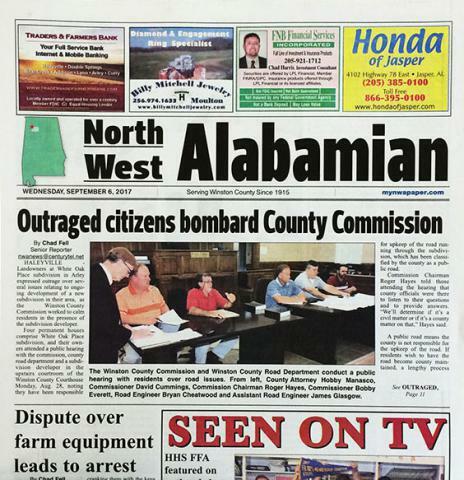 Both newspapers are printed at one central location in Haleyville, Alabama. Each issue of the Northwest Alabamian aims to include the latest in local & area news, sports, upcoming events, editorials, feature articles, obituaries, business profiles, promotional advertising and supplements plus so much more. Major news stories, local investigative reporting, local politics and local elections are just a part of what tie a community together. The Northwest Alabamian shares the stories of your neighbors — not only can you gather information that relates directly to your area, but you can also get to know surrounding communities better. Start enjoying all the Northwest Alabamian has to offer by subscribing today! Give them a call at 205-486-9461 • Monday thru Friday • 8:00 A.M. til 5:00 P.M. CT. Remember to also visit their website, mynwapaper.com, for breaking news, obituaries, upcoming events, sports scores and more between issues.